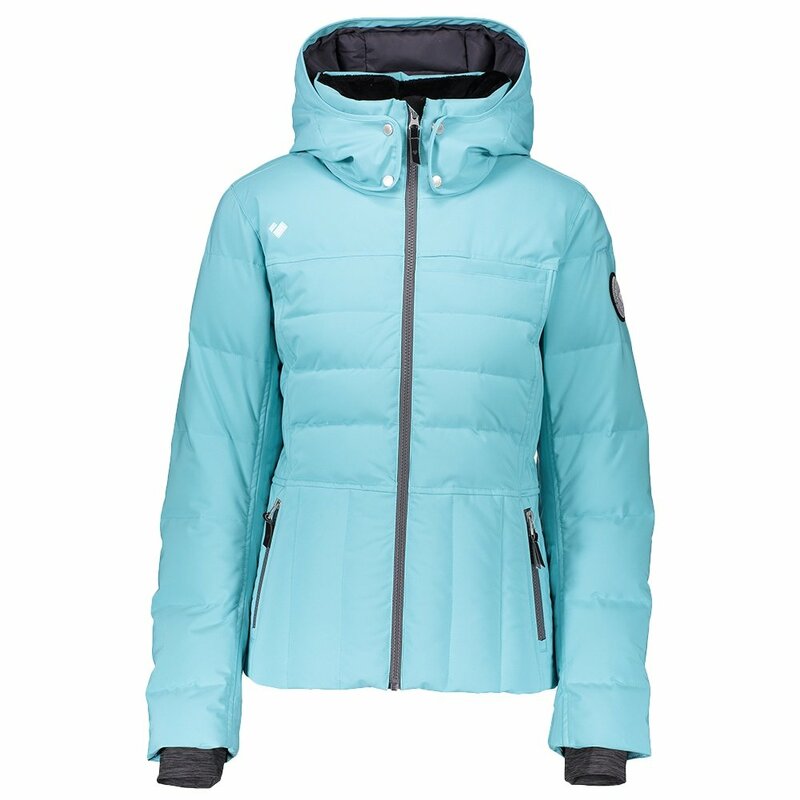 With a stylish look and practical warmth, the Obermeyer Joule Down Ski Jacket has everything you need on the mountain. Obermeyer blended 550-fill Duck Down with Thermore® Classic Insulation on the side and under sleeve panels for the perfect warmth in cold conditions. And just because the Obermeyer Joule Down Ski Jacket is plenty warm, you can still cool down thanks to the 10K breathability rating, perfect for resort skiing. A water-resistant powder skirt and removable hood help to keep the elements out, while creature comforts like an interior mesh pocket for your electronics and fleece-lined collar keep it fun.